Wonky Hoodoo range Handmade with Magick in Wonky Hq. 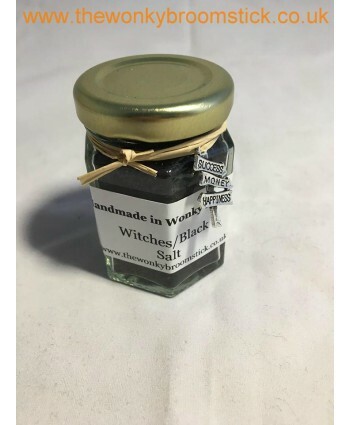 Made to a traditional recipe with a wonky twistTraditionally, Witches Salt utilised in magic spells for banishing, driving away evil and protection. 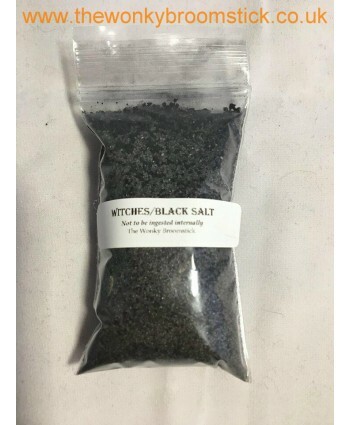 Placed upon the altar for spell workings, Witches Salt is also used for cleansing, charging scrying mirrors, casting circles and purification baths.Black Witches Salt for, use in Prot..